So Finland has a zillion orchestras. Big whoop. We’ve got a bazillion big bands. The Cedar Avenue Big Band, the Acme Jazz Company, the Nova Jazz Orchestra, the Jerry O’Hagan Orchestra, the Bend in the River Big Band, Tim Patrick and His Blue Eyes Band, Beasley’s Big Band, the KCGO Big Band, the Century Jazz Ensemble, the Bellagala Big Band. And all the big bands at colleges and high schools. Let’s high-five ourselves. And let’s get out to see what’s probably the best-known big band in the Twin Cities: the JazzMN Orchestra. Now in its twelfth year, JazzMN features many of the Twin Cities’ top jazz musicians, an annual season of several concerts, and a smartly chosen roster of guest performers, usually including an area vocalist and a nationally-known instrumentalist. Saturday’s concert features Debbie Duncan on voice and Mike Stern on guitar. Stern has played with Miles Davis, Michael Brecker, the Yellowjackets, and Blood, Sweat & Tears. He’s a five-time Grammy nominee and a master of jazz and jazz fusion. 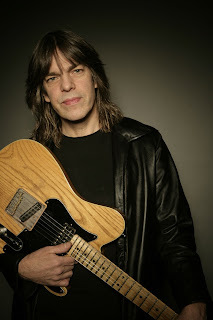 I’ve had a peek at the set list, which includes several Mike Stern originals in arrangements by the Danish Radio Big Band. 7:30 p.m. Saturday, March 12, Hopkins High School Performing Arts Center ($27-$31, student rush $10). Tickets online or call 1-866-811-4111. The Minnetonka High School Jazz Ensemble will give a pre-concert performance starting at 6:45. 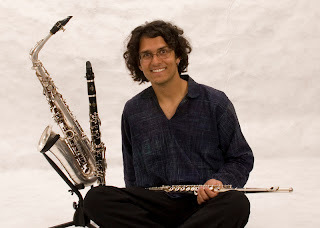 East meets west in the music of Denver-based saxophonist Mittal, who also plays flute, clarinet, and electronic tambura. Weaving the sounds, rhythms, melodies and meters of his East Indian roots into the fabric of modern jazz, he creates a sound and a vibe uniquely his own. This will be his third visit to the Dakota, and you might have heard him at last year’s Twin Cities Jazz Festival in St. Paul. When he brought his quartet to Minneapolis in 2010, they played their latest release, Videsh, straight through. It’s a journey to India complete with traffic noise, ambient sounds, and overdubs. I was there and transported. Here are two selections from Videsh. 11:00 p.m. Saturday, March 12, Dakota ($5). Dakota Late-Night tickets at the door. 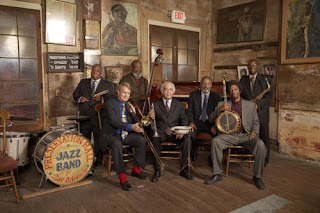 I didn’t know until recently that PHJB made its first concert album here, not at its home in New Orleans' French Quarter. In 1963, Sweet Emma Barrett and her Preservation Hall Jazz Band played a show at the old Guthrie. It was so successful that they returned in October 1964 to do it again—and record it for posterity. New Orleans’ Sweet Emma and Her Preservation Hall Jazz Band is still in print and popular today. On Monday, PHJB will make its first visit to the new Guthrie and celebrate that recording with performances, footage from the 1964 concert, readings, and renditions of Sweet Emma’s style and songbook by four-time Grammy nominee Marcia Ball. It sounds like fun; it sounds like history will come alive. Here’s “Tailgate Ramble,” recorded live at Prez Hall in 2009. 7:30 p.m. Monday, March 14, Guthrie Theater ($40/$38). Tickets online or call 612-377-2224. A twofer of massive proportions, rather like a pair of active volcanoes. Clarke has been a frequent visitor to the Dakota in recent years, but I don’t think we’ve ever seen Wooten in that room. 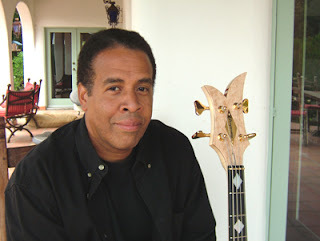 Clarke is best known for his work with Return to Forever, Wooten for being a member of Bela Fleck and the Flecktones. 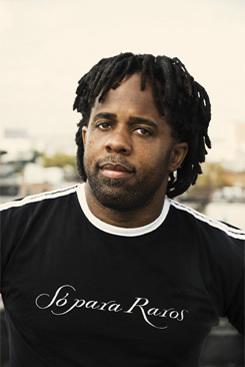 (Clarke’s band just won a 2011 Grammy for Best Contemporary Jazz Album.) Each will bring his own band. Here are Clarke and Wooten with Marcus Miller. Electric bass heaven. 7 p.m. and 10 p.m. Tuesday, March 15, Dakota ($70-$40). Tickets online or call 612-332-JAZZ (5299).